Now that the lockout is over, the country’s best hockey players are headed back across the ocean. Russia's NHL stars are packing their bags. The NHL lockout is over, and they are heading back to finish the season in North America. Meanwhile, Russian coaches say that without the NHL contingent, Russia’s national team will struggle at the 2013 World Championship. The NHL lockout lasted for 113 days. The spat between players and club owners resulted in the cancelation of 625 out of 1230 games – just over 50 percent of the season. Although longer than the 1994/1995 lockout, which ran for 103 days and ended on Jan. 11, 1995, the 2012/2013 lockout falls short of the record set during the 2004/2005 dispute, when 310 days of talks were needed to reach a resolution and the entire season was cancelled. With the conclusion of negotiations, hockey fans should be able to rest easy until 2020, when the new agreement expires. According to the agreement, Future NHL revenue will be split 50-50 between owners and players. The players will receive a further $300 million to compensate for losses from the transition to the new system. This is a compromise on the part of the Players’ Association, which in July 2012 demanded 57 percent of revenues from the NHL. Russian agent Yury Nikolaev believes that both sides are satisfied with the deal. The lockout has cost the players around $820 million in total. On average, every canceled game was worth about $1.5 million to them. The Russian stars who lost out most include Ilya Kovalchuk, Evgeny Malkin, and Alexander Ovechkin. Malkin and Ovechkin will see a shortfall of $4.15 million from a potential $9 million, while Kovalchuk will be short $5 million out of $11 million. 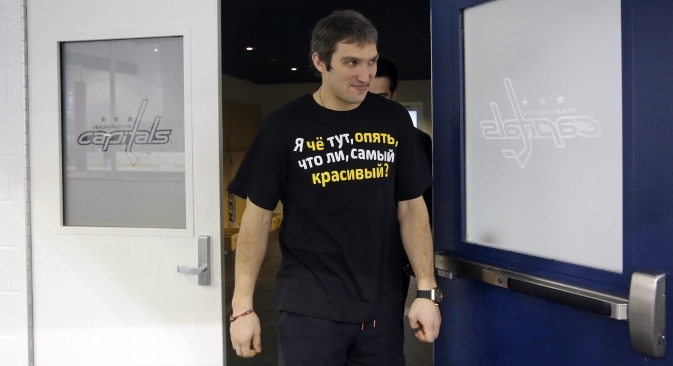 Alexander Ovechkin, the main strike force of Moscow's Dynamo and the Washington Capitals, was less sentimental. Sergei Fedorov, a three-time world champion, three-time Stanley Cup winner, and now head coach of CSKA Moscow, who has endured three NHL lockouts, was disappointed, but took the news in stride: “I will not hide the fact that it is not the best news, but we were ready and had plans to deal with the resumption of the NHL season,” Fedorov said. The departure of Russia's overseas stars forces the hand of Zinetula Bilyaletdinov, head coach of the national team, who now has to rely on players from the KHL. No NHL player will wear Russia's colors at the 2013 World Championship. Former national team head coach Vladimir Plyushchev thinks that as a result, Russia's chances of reclaiming the title have been severely weakened. However, Plyushchev welcomes NHL lockouts as an opportunity to develop the KHL. Nevertheless, Plyuschev added that the current players in the KHL will have a hard time meeting the standards set by their compatriots from the NHL. This season, 31 percent of Metallurg's goals, 23 percent of Dynamo’s and 22 percent of SKA’s were scored by players who arrived as a result of the lockout.